We are so excited to welcome Bulldog Nation back to Starkville for the 2017 Mississippi State Homecoming! Your New South Weekend begins on Friday with tailgating for lunch Downtown and Around Town at the Citywide Tailgate, benefitting the United Way of North Mississippi. This weekend will be filled with maroon and white fun, so read on to see what’s happening, including great resources for shopping and dining. 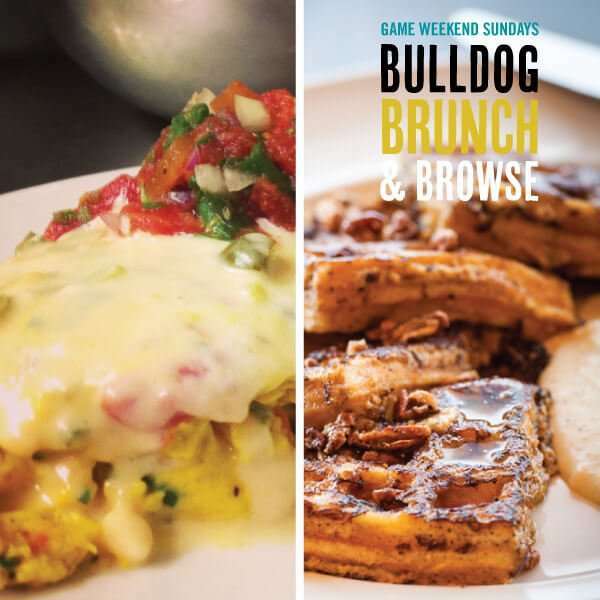 You’ll find great information and helpful links for your best game weekend yet… HAIL STATE! Wrist bands are $5 and entitles attendees to goodies from all 19 participating tailgates! 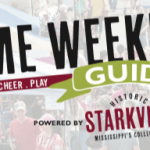 Citywide Tailgate is an annual entertaining event included in the New South Weekends promoted by the Greater Starkville Development Partnership. The event gives local businesses an opportunity to mingle with their community friends in town and guests visiting from all parts who are attending this year’s MSU Homecoming game against University of Kentucky Wildcats. This United Way fundraiser benefits the 15 agencies supported by United Way of North Central Mississippi. Sponsoring Citywide Tailgate this year are the Greater Starkville Development Partnership and Dynamic Fire Protection. 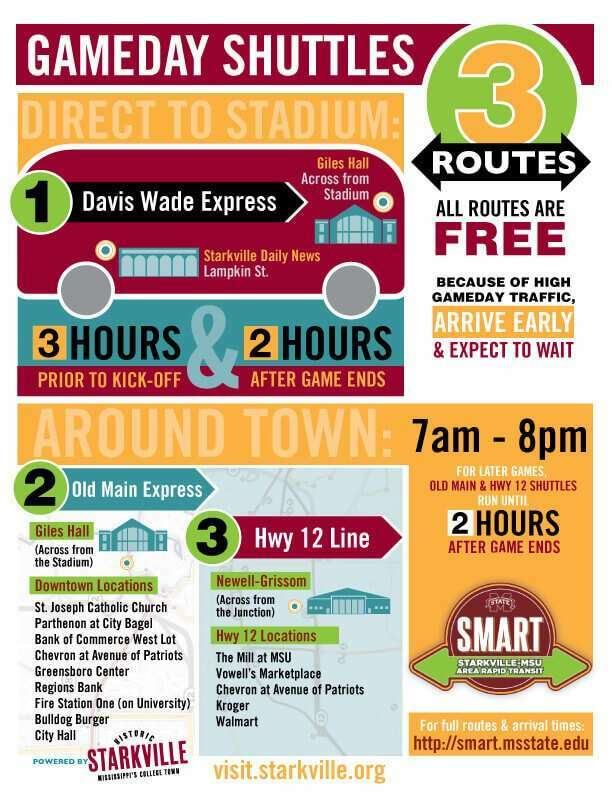 Check out the map below for the locations of participating tailgate tents, and don’t miss a single stop! 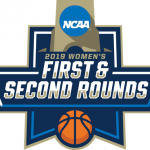 SATURDAY, OCT 21 – GAME DAY! 11:00 am — CSpire Fan Zone! 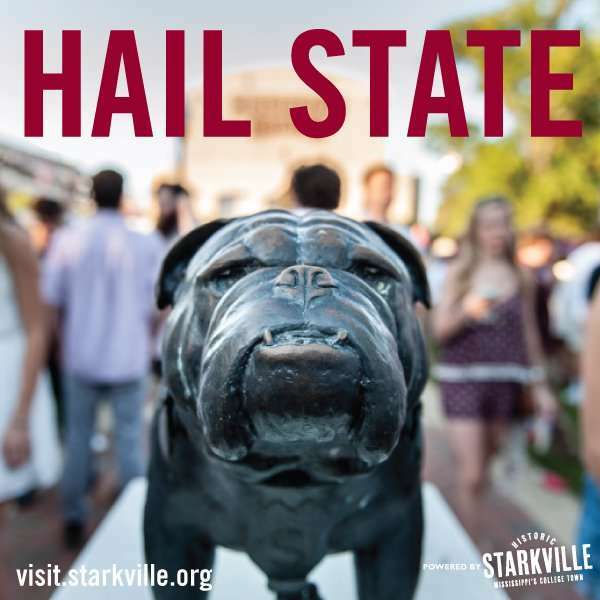 Be sure to visit your favorite Starkville shops & boutiques to find tailgating supplies and the latest styles for Saturday’s Homecoming game! 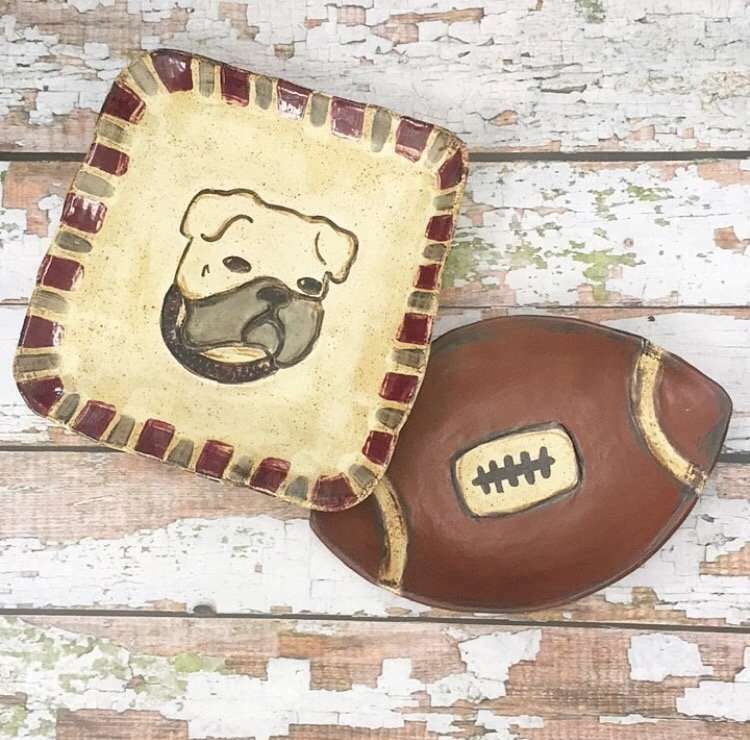 Our Downtown merchants have something for Bulldogs of all ages! Thanks to Doodlebugs and Occasions for showing us a peek t some of their gameday wear and gear! 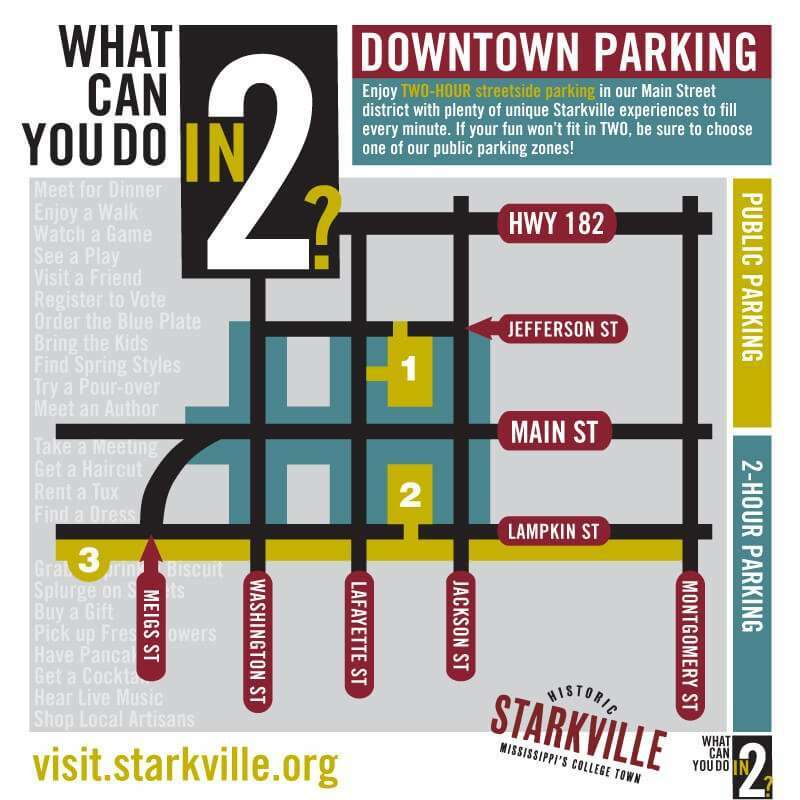 Before Saturday’s contest with BYU, be sure to plan time to enjoy Starkville’s many local shops and restaurants! Our Starkville Main Street members always roll out the maroon carpet with sidewalk sales, dining and drink specials and more! This Google Map will serve as your walking tour guide!